Why is UX Design Crucial in Successful Product Development? User experience design is one of the most indispensable components in the mobile app development lifecycle. It is a highly essential activity for businesses to draw a basic layout of an app, before making any financial and human effort investments. Carrying out most of UX designing tasks during the planning stage helps in lowering the risks associated with the actual product development. Planning about an app’s features and usability techniques, help developers to factor in a user’s convenience and comfort, thus presenting a better likelihood of positive customer engagement. As per a recent report published by KoMarketing, a B2B online marketing agency, nearly 47% of the current website visitors check company's products/services page, before browsing to any other page on a website. Additionally, the firm also revealed that once a user reaches a firm's homepage, 86% of them only want to explore company's products/services in the first go, whether all the other sections of the website are treated as secondary. 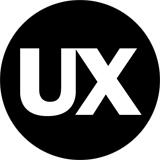 Why Do You Need to Develop a UX Design? Since consumer behavior is undergoing rapid shifts, designers and mobile app development companies will have to put in a lot of efforts for understanding the transformative effect of consumer thinking. Understanding their mindsets and requirements, before investing anything into the development cost, is essential for the app’s success. It is imperative to consider that each technology undergoes an adoption curve, where a development gets tested by early adopters and later by mass audiences. Since consumers are becoming smart and are developing skills to judge an effectiveness and usability of an app, mobile app development companies will have to strengthen their UX designing and product strategies to maintain the pace in this highly competitive world. It is one of the most common methods used by a lot of global firms to find themselves or their products in place. The core emphasis of this approach is one figuring out the ways to get things done and discovering ways to complete the task in the pre-defined time frame. The stage involves a lot of trial and error instances, thus helps in making your product risk-free and flawless. The core emphasis of the process is to discover newer ways of solving business/user problems. The basic strategy developed under this approach will always focus on answering queries relating to how this development can benefit an organization and what changes it will bring in user’s lifestyle post its release. As the name suggests, this method enables strategists and planners to analyze everything in is an initial stage so that the end product is flawless. The method helps you to answer questions like what will be the result of this business move? Is it imperative to implement it in the first place? Instead of taking a step ahead, this method asks you to step back and think whether it is a right thing to invest your time, money and resources in this project. Investing in tactical UX design at the initial stage of product development helps in developing robust applications and programs minus the technical or usability issues. Defining the exact user requirements and answering questions enable product development managers to progress in the correct direction, right from the start. Increasing conversion rates, enhancing consumer loyalty, and strengthening your product’s SEO strategy are some of the other common benefits that you will enjoy while considering UX Design as a first priority during a product’s strategy planning stage.